With the sweet comes the sour, and so counter my previous post "Why Having Two Pugs Is Awesome" here are a few reasons why having two pugs is not always so awesome. Don't get me wrong, I wouldn't trade it for anything and the pros most definitely outweigh any possible cons. If anything, the cons are endearing in their own way! Has made life sooo much easier. 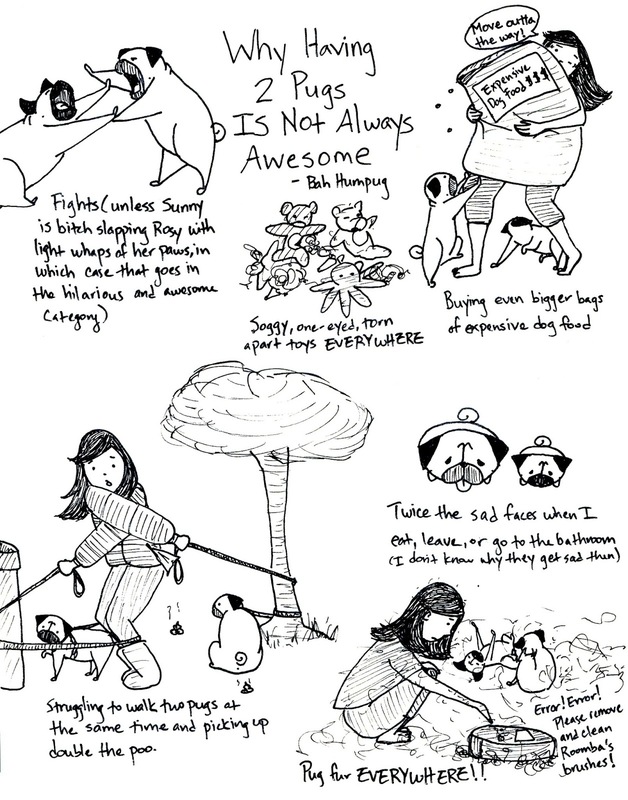 At least, life when walking two puggies. I must be hard to walk two pugs... I want to get two at the same time, but maybe I should start with one...! These are great, and I can so relate to the cons being endearing in their own way. I passed by someone walking their two black pugs on one of those double leashes yesterday (aw! ), and it definitely looks easier than using two single leashes.